We're excited to announce that Becky McGilligan, MD and Founder, of the McGilligan MD, Inc. will be speaking at Hint Summit 2019. 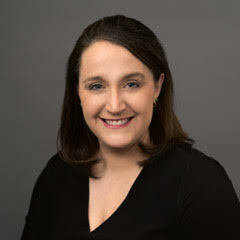 Dr. Becky McGilligan, an internal medicine physician, opened McGilligan MD, Inc on March 1, 2018. The 500-patient practice filled within 7 months and recently hired a new physician. Dr. McGilligan broke the DPC growth curve in an area saturated with hospital-employed physicians by offering time, access, and individualized treatment plans. Session Info: Dr. McGilligan will be part of a panel, "DPC Practices Breaking the Growth Curve", where we'll look the challenges and advantages that DPC practices face as they try to grow their patient panels.